On June 26th DONG Energy has officially inaugurated its two offshore wind farms Gode Wind 1 and 2. Samuel Leupold, member of DONG Energy's Executive Committee and CEO of Wind Power, says: "We're proud to officially inaugurate our latest German offshore wind farms today. The wind turbines at Gode Wind 1 and 2 are already generating clean power off the coast of Norddeich, and our next German offshore wind farm, Borkum Riffgrund 2, is well underway. 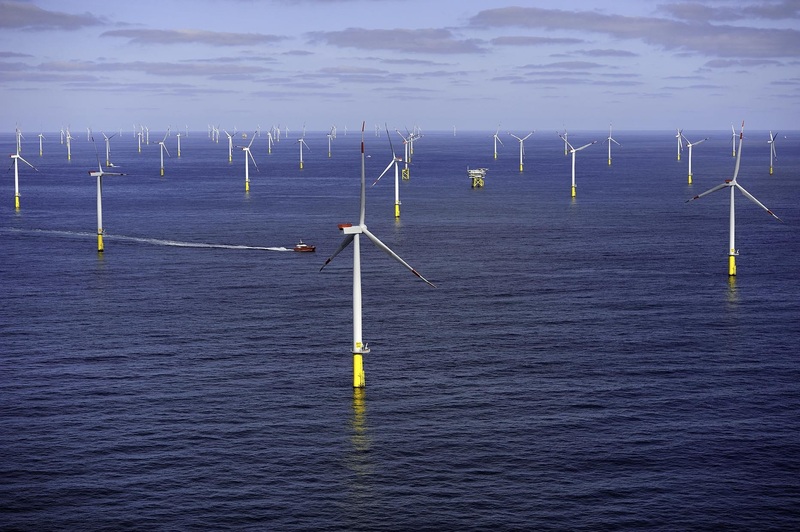 These large-scale projects are testament that offshore wind has become a reliable, predictable and cost effective technology which will contribute significantly to Germany's energy transition." In his speech Uwe Beckmeyer, German Parliamentary State Secretary, pointed out, that offshore wind has becoe a driver in the energy industry. The industry has a strong focus on competitiveness in export, innovation and digitisation. "A strong home market is a crucial factor in this regard" he further stressed. The opening ceremony also included a panel discussion on the topic of 'Unlimited energy from the North Sea: Essential for the European energy transition?'. The participants, Kristoffer Böttzauw, Danish Deputy Secretary of State, Olaf Lies, Lower Saxony's Minister of Economic Affairs, and Samuel Leupold from DONG Energy, discussed the future of the European energy transition, visions and the basic framework needed in Europe to ensure steady, continuous build-out.